Social spaces across campus—from the Cabot Cafe in the Quad to the Eliot Grille on the river—will undergo renovations this year, Dean of the College Evelynn M. Hammonds announced on Tuesday. The College has also tapped the Quad Grille in Pforzheimer House and the first floor of the Student Organization Center at Hilles as other venues that will be updated in the coming year. In addition, Hammonds announced the creation of a new multimedia lab in Mather House, where students will have access to media production equipment, among other technologies. Hammonds said the renovations are part of the College’s “ongoing effort to expand and improve the social spaces available”—an oft-criticized aspect of undergraduate life. The money for the renovations will come from a combination of College and Faculty of Arts and Sciences funds budgeted at the end of the last fiscal year, FAS spokesman Jeff Neal wrote in an e-mail. Eliot Grille, which Hammonds said would be the of first the spaces to be finished, began improvements over the summer, with the purchase of new furniture and audio equipment. Other planned changes, including new lighting and a new coat of paint, will be implemented in time for an “early fall” opening. 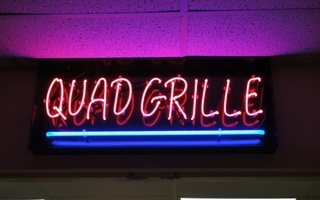 The former Pfoho Grille, which was rebranded as the “Quad Grille” last October, will be similarly renovated this winter. 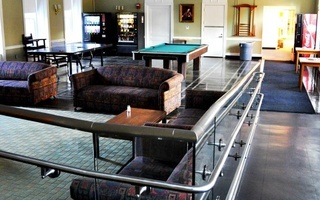 Pfoho House Masters Nicholas A. and Erika L. Christakis ’86 hinted at the possibility of a revamped Junior Common Room, which houses the Quad Grille, in an email to Pfoho students over the summer. In a July 8 email, the House Masters asked for student opinions about buying arcade games for the space, if money were “unexpectedly and improbably” available. Tuesday morning, the Christakises officially announced the renovation of the JCR, inviting students to participate in an informal brainstorming session during the afternoon. Follow-up meetings are planned for Sept. 26 and Oct. 13. The masters’ email indicated that the House hopes to finalize plans by Oct. 20 and complete construction over winter break, allowing the space to be used in the spring. Possible updates to the Grille include new paint and flooring, the installation of booth seating, and the purchase of vintage arcade games such as Pac-Man. Another social space in the Quad will also be updated this year. Housed in the former Television Room in the basement of Cabot, the new Cabot Cafe will receive new furniture and lighting after a successful four day preview period last May. 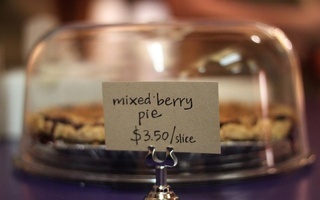 The renovations, which take into account suggestions from students, dining hall workers, and Cabot House administrators, will help align the Cafe’s standards with those of Cambridge licensing laws for shops selling food, according to Cabot Cafe general manager Jesse J. Kaplan ’13. While some of the renovations will be completed before the Cafe opens in late September, Kaplan said that the changes will continue throughout the year. In addition, Mather’s underutilized woodshop, which is currently used for storage, will be transformed into a new “Mather Multimedia Lab,” featuring video production equipment and a conference area. Mather House Committee Co-Chair Daniel I. Brandt’ 12, who was involved in the planning of the lab, said it was “the first room of its kind” at Harvard. Beyond the House system, Hammonds said she will be making changes to the ground floor of the SOCH, currently a largely empty former library lobby. Plans for the renovation are still undecided, and options include the construction of a small stage, increased seating spaces, and expanded food service in addition to the current vending machines in order to create a “living room” for the College, according to SOCH manager Douglas J.D. Walo.